Minimalist color and form. This, in a nutshell, is what Nikolay Alexandrovich’s art is all about. 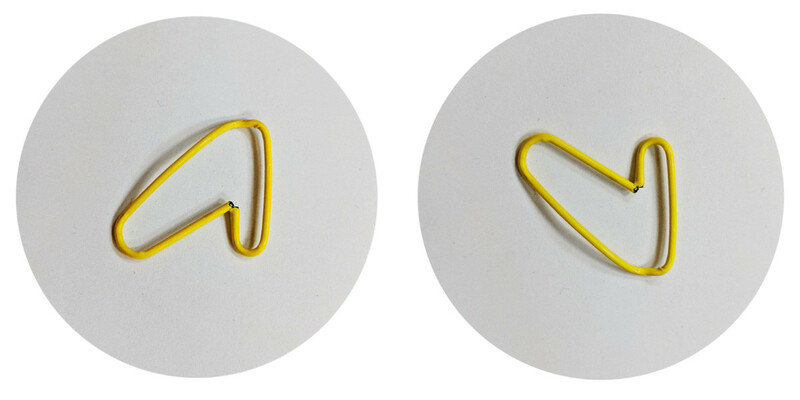 The 42-year-old lives and works in St. Petersburg, and his chosen medium is....a yellow paperclip. He sells his creations through a VK group, where he has several thousand fans. Given that Nikolay Alexandrovich is peddling paper clips, he isn’t doing too badly for himself. For example, he sold “Letter L” for 580 rubles ($9) and “Sailboat” for 2,570 rubles ($40). And what poetic descriptions these unique works have! This is the blurb for “Slide” (2,420 rubles/ $37): "THERE’S NOTHING MYSTIC OR UTOPIAN ABOUT IT. IT’S JUST THE PINNACLE OF ARCHITECTURAL AND ENGINEERICAL THOUGHT, LOVINGLY CAPTURED BY YOUR HUMBLE SERVANT WITH A YELLOW PAPERCLIP." Here’s the accompanying text for “Headless Woman” (1,530 rubles/ $24): "GRACE, LIGHTNESS, LACK OF A HEAD. ALL THAT ER LOVE IN WOMAN HAS BEEN BROUGHT TOGETHER IN THIS WONDERFUL HANDICRAFT ITEM." Headless Man, a self-portrait ($22). Nikolay Alexandrovich doesn’t reveal his surname, nor does he post pictures of himself, so his identity is a bit of a mystery. Luckily for us, though, he was happy to answer Russia Beyond’s questions. As you probably noticed already, for some reason he only writes in capitals. 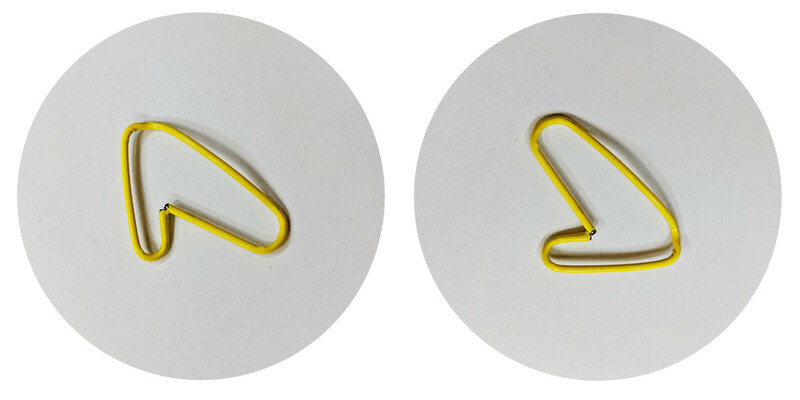 Nikolay Alexandrovich sold his first paperclip – called “Boomerang” – in 2015, when art was just a hobby for him. He decided to pursue it seriously when he walked into a supermarket one day and saw a claw crane arcade game, but had no change. "I USED TO LOVE PLAYING THE GAME, I FOUND IT RELAXING AND DISTRACTING," he says. He decided to change a banknote in a nearby kiosk, but the cashier she had run out of change, so he asked if he could borrow some money from her personally “‘I KNOW PEOPLE LIKE YOU,’ SHE REPLIED. ‘YOU ARE THE GAMBLING TYPE, I WILL NEVER SEE MY MONEY AGAIN’” He tried to reason with her but to no avail. Then she spotted “Boomerang” in his hands, and fell in love with the artwork. "BACK THEN, I DIDN’T KNOW WHAT MY ITEMS WERE WORTH, SO WE AGREED ON 25 [rubles]," the artist recalls. He didn’t win anything from the claw crane, but the day marked a new chapter in his life. Left: Letter L ($9). Right: Sailboat ($40). Before his hobby started to generate money, he worked as "a husband for an hour" – a hired handyman who helps clients with various odd jobs around the house. These days, however, he can afford to devote all his time to his paperclips. The artist admits that at first not many people believed in him, but now his family supports him. "ALTHOUGH MY SON OCCASIONALLY SAYS SOMETHING STUPID, LIKE WHAT I DO IS USELESS, BUT I DON’T TAKE MUCH NOTICE – I UNDERSTAND THAT IT’S JUST INTEMPERATE YOUTH SPEAKING," Nikolay Alexandrovich says. 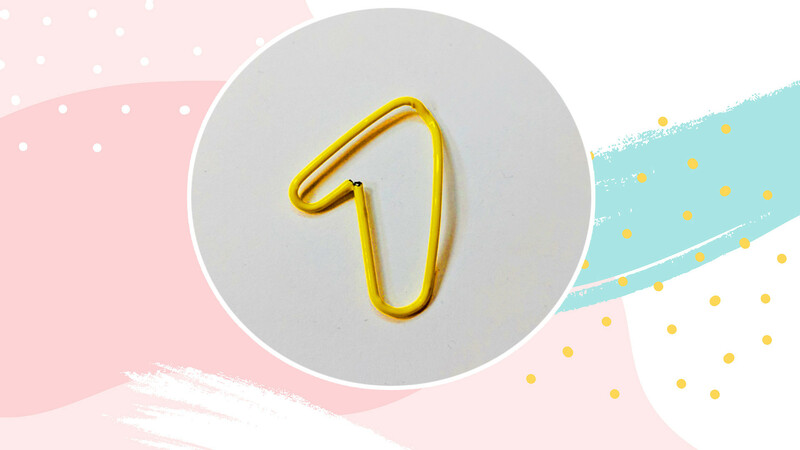 His works are in real demand but the artist abides by one rule – he doesn’t sell more than one paperclip to any customer. "THERE ARE MANY CLIENTS AND I DON'T WANT TO UPSET ANYONE," he says. However, he did break his rules once, when a "VERY SUCCESSFUL ART COLLECTOR FROM MINSK" managed to persuade him to sell him two copies and one original. The buyers, according to the artist, are mainly well-off young people aged 25-30, from Russia and former Soviet Union countries. "MOST OFTEN THEY BUY PRESENTS FOR THEIR SIGNIFICANT OTHERS OR RELATIVES," Nikolay Alexandrovich says. He doesn’t reveal much about the secrets of his creative process but says that titles and the forms of his work come to him spontaneously, so too some of the blurbs. Nikolay is considering a one-man exhibition, but he is not ready to name any specific dates yet. He recently launched an English-language Instagram account, although he admits that it has not yet brought him a single customer. 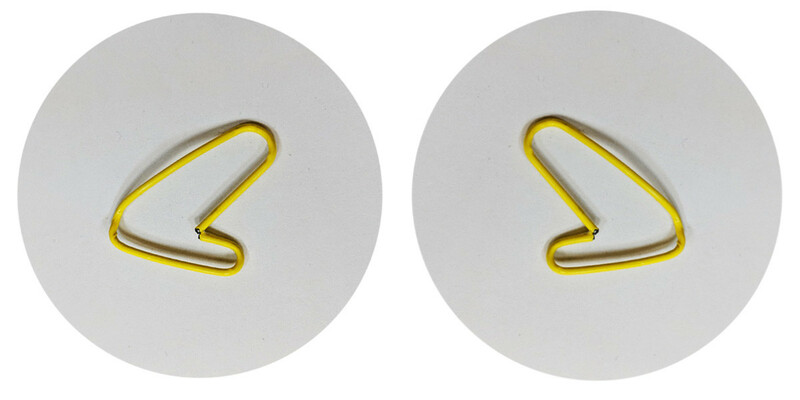 At first glance, one might think that Nikolay Alexandrovich’s work is simply one paperclip, rotated. At second glance too. But his fans eagerly await new works. "Thank you, your works inspire me to do handicrafts, which I have always liked," one fan writes. His followers also describe him as a genius and thank him for stirring up their creativity. Left: Duck Bill ($15). Right: Frog ($11). 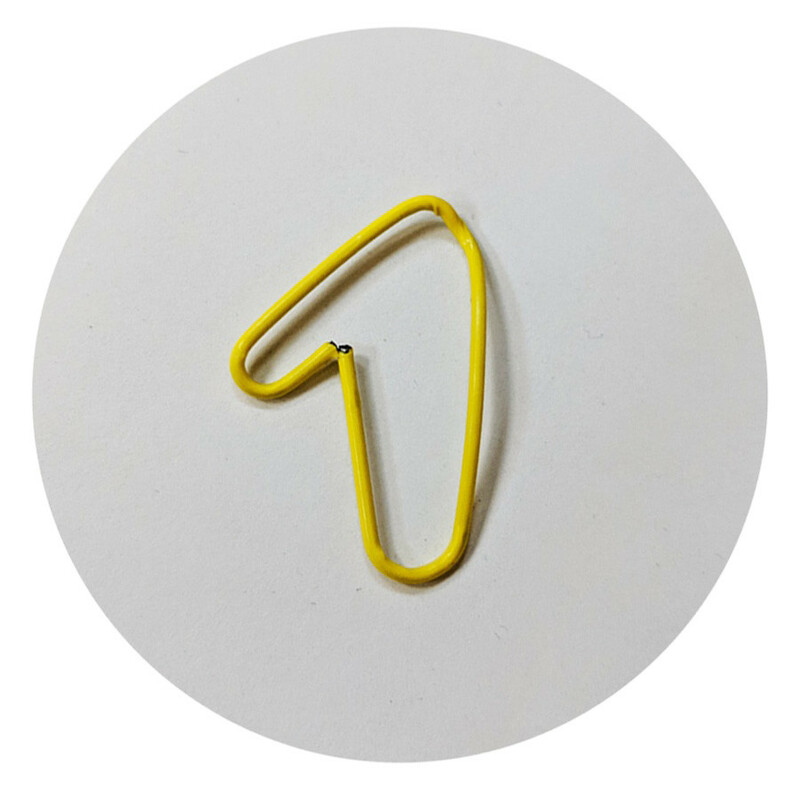 Every week, he posts pictures of paperclip art created by his subscribers and from time to time organizes competitions, awarding winners with original works. "AMONG MY SUBSCRIBERS THERE ARE SEVERAL PEOPLE WHOM I DULY CALL MASTERS OF THE PAPERCLIP. THEY CREATE THEIR OWN UNIQUE WORKS AND DO IT QUITE WELL," writes the artist, adding that one day he may reveal the secrets of his art to the most gifted pupil. Once a winner received one of his favorite works called “Stapler Boom Gate.” "MY WIFE NEARLY WENT CRAZY AS I HAD SPENT TWO DAYS WORKING ON THAT ITEM. I PROMISED HER I WOULDN’T TO EXERT MYSELF LIKE THIS ANYMORE," the artist says. This Russian video game simulates despair!